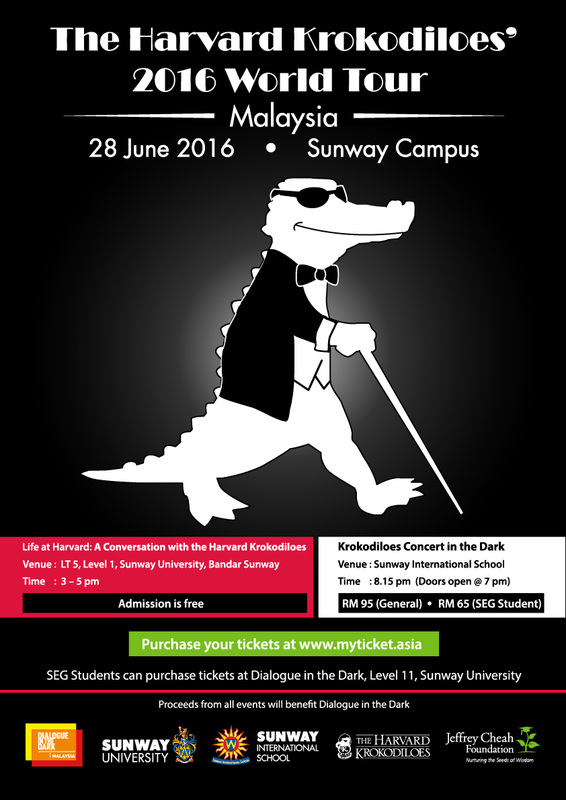 The world-renowned Harvard Krokodiloes are returning to Malaysia and we would love for you to join us in making their visit here a truly special and memorable one. The Krokodiloes are as unique as their name, with twelve tuxedo-clad Harvard University undergraduates entertaining audiences worldwide, delivering well-loved melodies with their unique blend of smooth a cappella harmony. From royalty to diplomats, to presidents to members of the public, the Kroks have performed the world over and are famous for sounding as sharp as they look. As Harvard's oldest and finest a cappella singing group, boasting almost 7 decades of performances, the Krokodiloes have taken centre-stage at the finest of concert halls across the world including the Lincoln Center, the Kennedy Center and the Sydney Opera House. Once again the Accounting/Banking and Finance/Financial Risk Management Specialisation Committee of VU @ Sunway programme successfully organised another Knowledge Session with Alliance Bank Malaysia Bhd. The talk by Mr. Manokaran Mottain, Chief Economist of Alliance Bank was titled “Lessons from Financial Crises: Have we learnt our lesson?” The session saw a breakthrough attendance with a turnout of 131 students (with 92% coming from the VU @ Sunway Program, 5% from Pre-U programmes and 3% from SUBS) in addition to 7 members of staff. Mr. Manokaran Mottain explained the indicative signals towards a financial crisis. He elaborated using secondary data from Bank Negara and Treasury to explain the various outstanding components in identifying the health of the economy. Students made it a point to engage with the speaker during the Q & A session and fruitful explanations were presented. Students found the talk to be of relevance and highly informative. The next Knowledge Session will be held on 5th May 2016 @ JC 2, 12.30pm. The great scholar Socrates once quoted; “There is no real good or real evil, the only one good is knowledge and the only one evil is ignorance.” We can indirectly say education gives birth to civilized society and open up minds to various possibilities. With the advancement in globalization, the availability of education comes in the form of study institutions as a formal channel to impart knowledge. 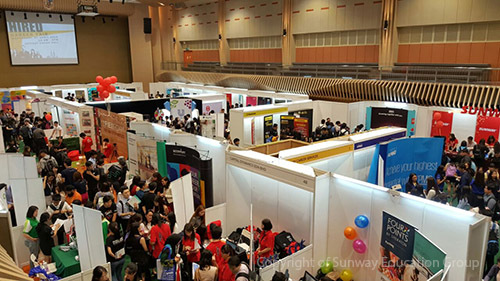 With the increase in tertiary education institutions, students are task with selecting the institution that best suited to their future choice of careers. 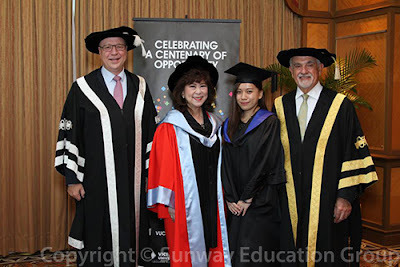 Sunway College, one of the pioneering twinning programmes providers in Malaysia has built a flourishing partnership with Victoria University (VU) Melbourne, Australia for over two decades. This partnership enables Sunway College to offer a curriculum which is identical to VU Melbourne, an association which has grown stronger with time. 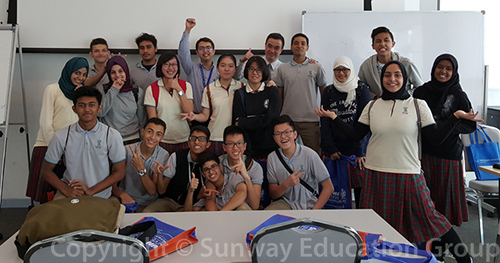 Sunway College provides a true Australian learning experience via its innovative Burst Mode or Block Teaching. Academic staff from VU Australia visit and teach our students, while exchanging ideas on their teaching experience with the academic team in the VU Bachelor of Business programme each semester. 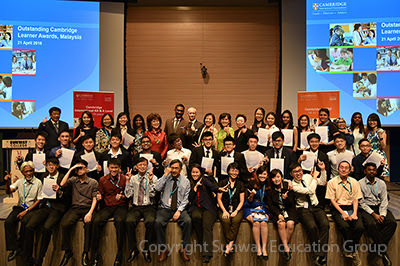 More than 150 students and staffs attended the “Let’s have a cuppa coffee with Dr Elizabeth Lee”. 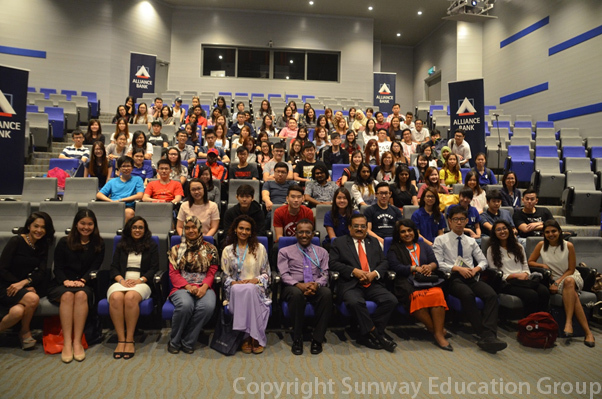 The town hall meeting between Dr Elizabeth Lee, Senior Executive Director of Sunway University and Sunway Education Group, and Sunway students which was thought-provoking and at times humorous, addressed various problems and potential solutions. Dr Elizabeth Lee listened attentively to students who were eager to present their opinions, provide feedbacks and suggestion on topics related to their experience on campus. Dr Lee were listening to a question raised by a student. 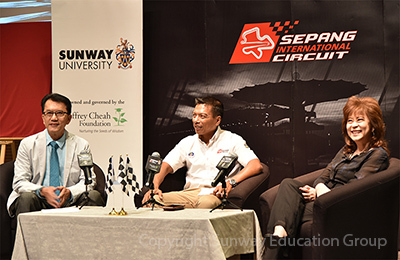 “We are happy to partner Sepang International Circuit. 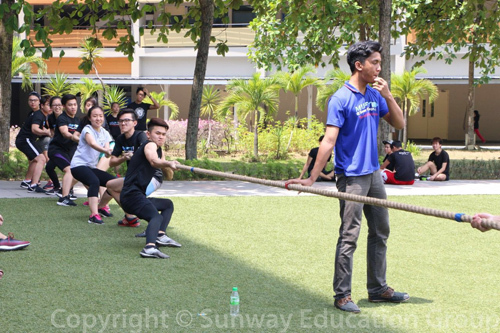 It provides our students and staff a view of the fascinating events and activities up close. As a recognised education institution both locally and globally, we value partnership opportunities that enable us to offer our students valuable learning experiences beyond the campus,” said Dr Lee Weng Keng, Chief Executive Officer, Education and Healthcare Division of Sunway Group at a partnership announcement with Sepang International Circuit (SIC) at Sunway University. 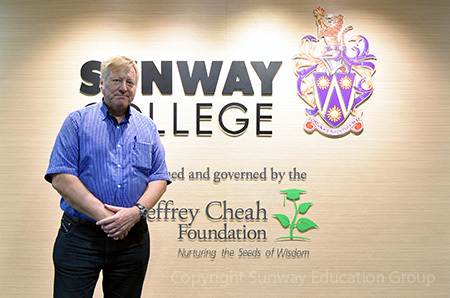 The Sunway Education Group (SEG) together with SIC recently announced a one-year partnership which will see students getting a first-hand experience of the state-of-the-art circuit during international events such as the MOTUL FIM Superbike World Championship 2016, 2016 Formula 1 Malaysia Grand Prix and Shell Malaysia Motorcycle Grand Prix 2016.